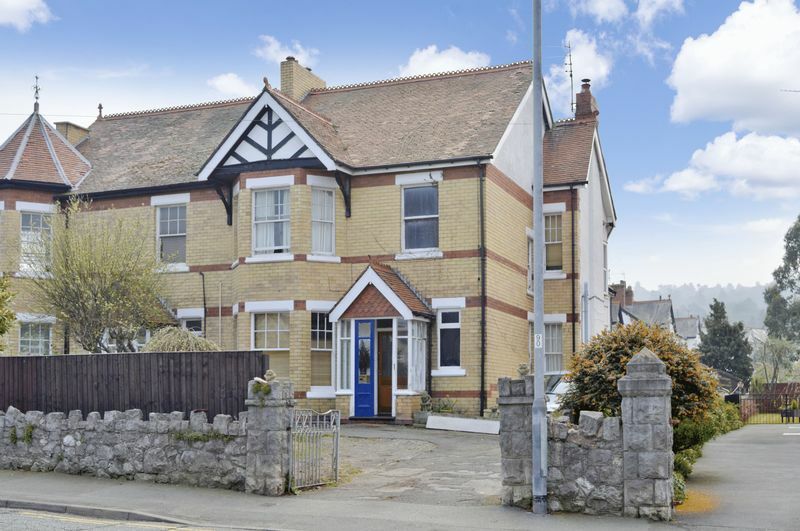 A SUBSTANTIAL 5 BEDROOM FAMILY SEMI SITUATED IN A HIGHLY POPULAR RESIDENTIAL AREA (WEST END PART OF TOWN CLOSE TO AMENITIES AND ACCESS ONTO THE A55) - This large residence built circa 1900 (A former nursing home) requires some upgrading works but offers impressive accommodation with potential to utilise the large loft to create further living space if so required (subject to local authority approval). 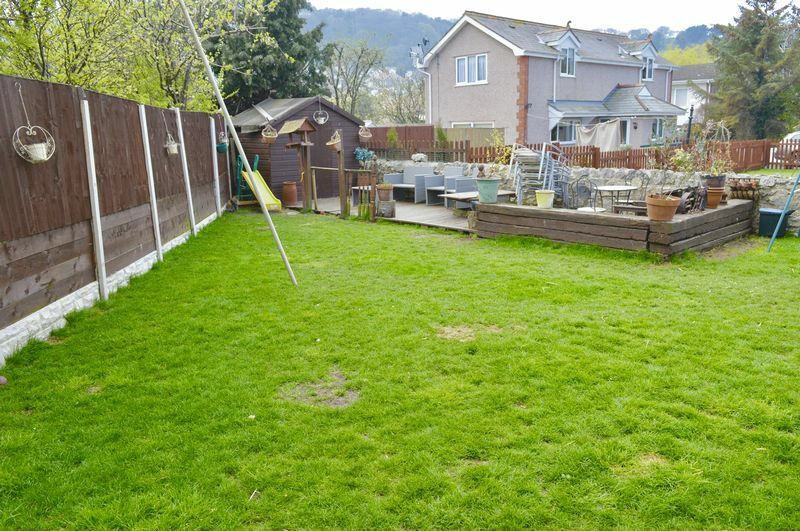 The property offers ample off road parking (space for 5 to 6 vehicles) and boasts an easy to maintain garden. 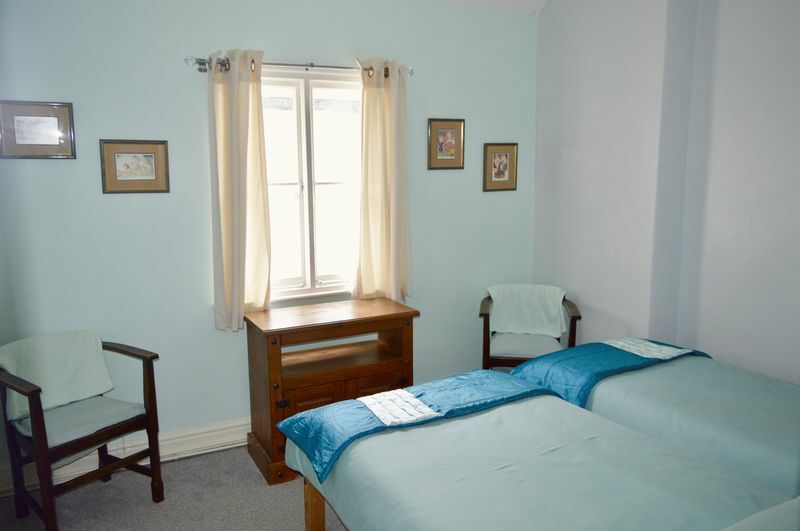 Benefiting from partial double glazing and gas fired central heating, the accommodation briefly comprises - Entrance porch, entrance hall, downstairs WC, sitting room, lounge, dining room, large fitted kitchen, rear hall, utility room, bedroom 5 (presently used as a playroom) and to the first floor, there are 4 double bedrooms (1 with an en-suite bathroom) and two further bathrooms. 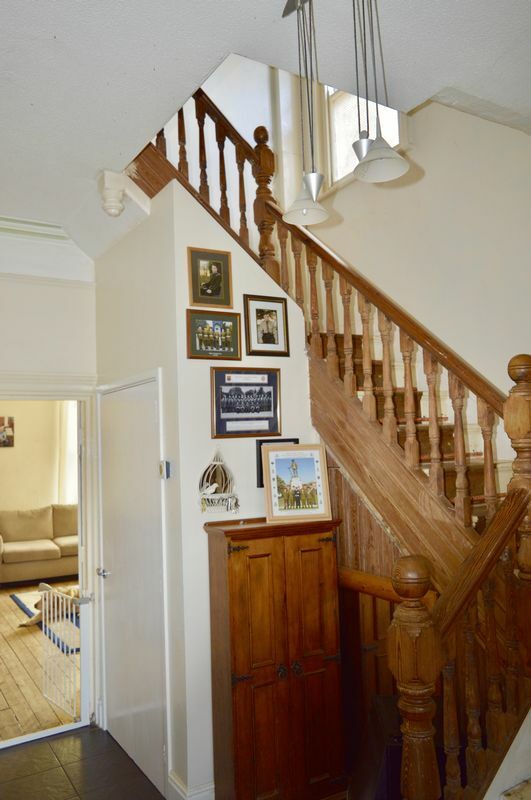 Tiled flooring, stripped timber staircase balustrade and banister, door to the lift (presently not in use), coving to the ceiling, picture rail. 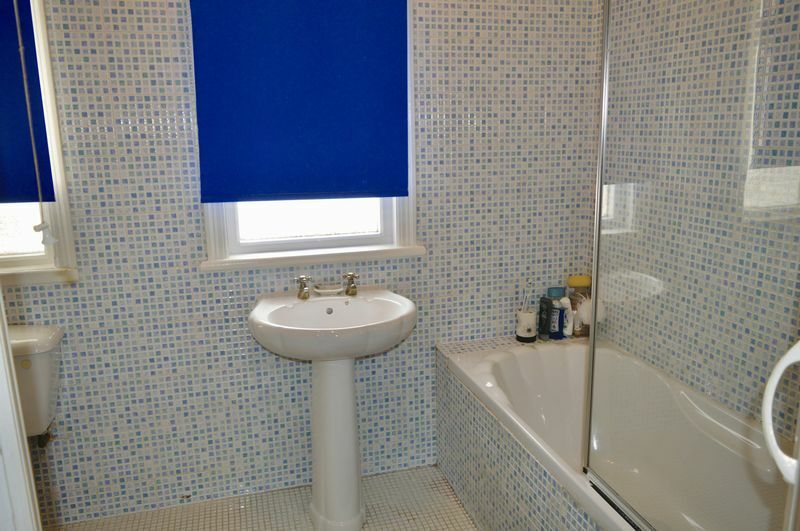 Window (side aspect), tiled floor, low flush WC, corner wash hand basin, radiator. 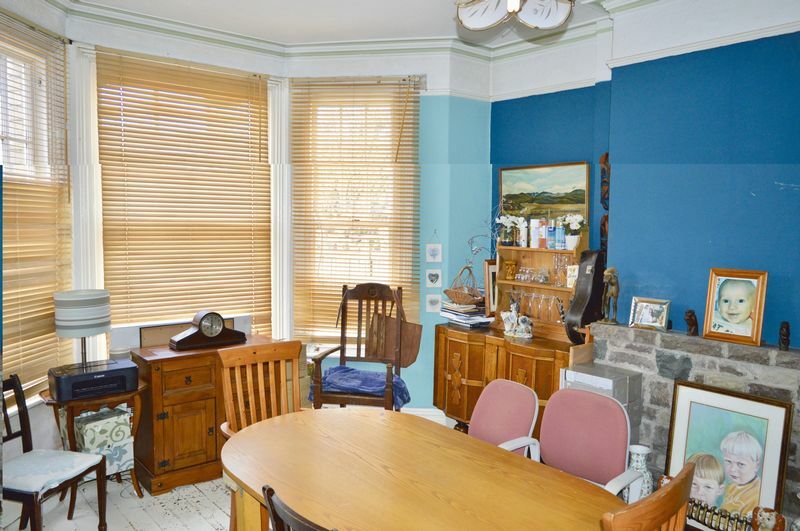 Bay window (front aspect), painted floor boards, stone feature fireplace, ceiling cornice, picture rail, 2 radiators. 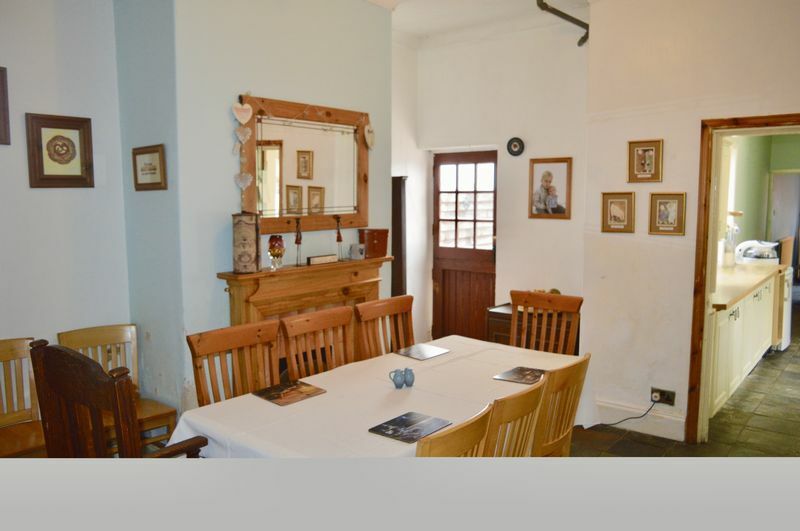 A double aspect room with a Upvc double glazed corner window (side and rear aspect), further window (front aspect), feature timber surround fireplace with a paved slate hearth containing a multi-fuel stove. 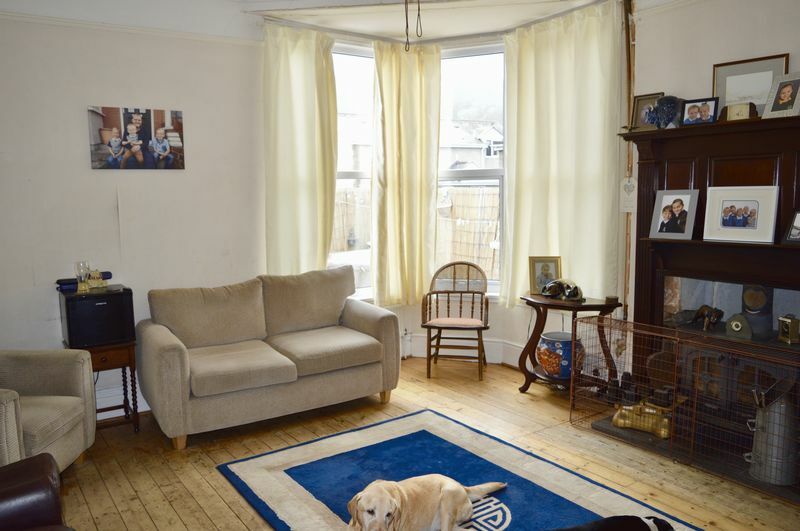 Varnshed floor boards, picture rail, coved ceiling, 2 radiators, TV point. 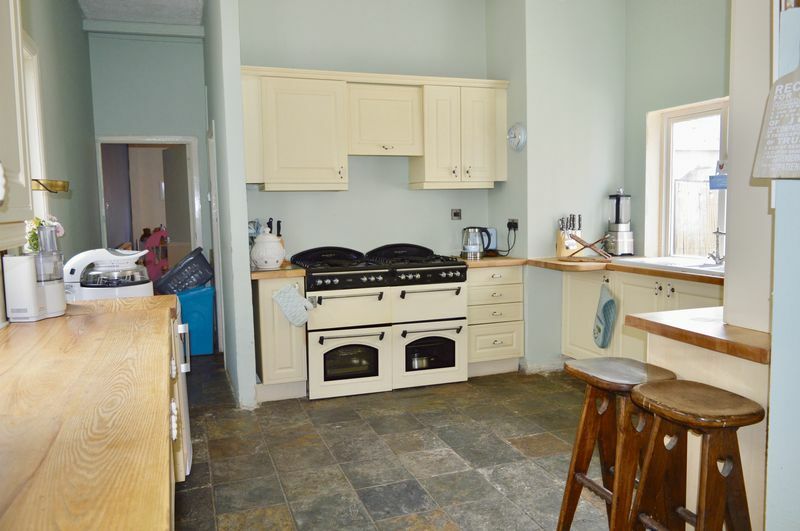 Outer side door, timber work surfacing with cream base unit under, double wall unit, Chinese slate flooring, space and plumbing for a washing machine, space for a tumble dryer and freezer. Digital wall mounted central heating/hot water controller. 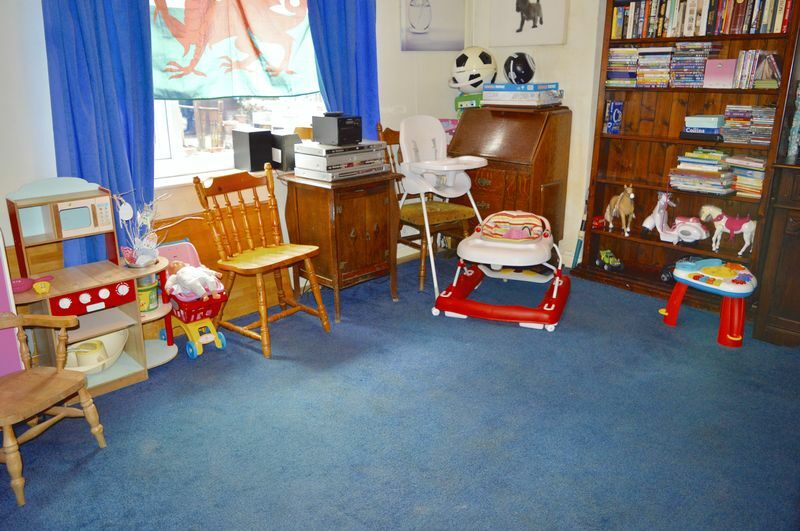 Presently used as a playroom. Upvc double glazed window overlooking the rear garden, radiator. Front hall area - Built-in cupboard, door to the lift (presently not in use), access hatch to the loft space. 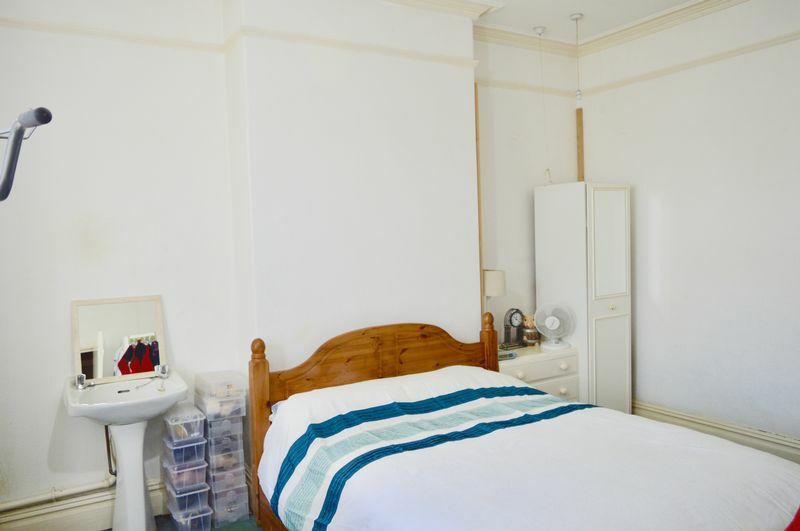 Bay window (front aspect), pedestal wash hand basin, ceiling cornice, picture rail, radiator. Frosted glass window (side aspect), double airing cupboard with storage cupboards over, access hatch to the loft, 2 radiators. 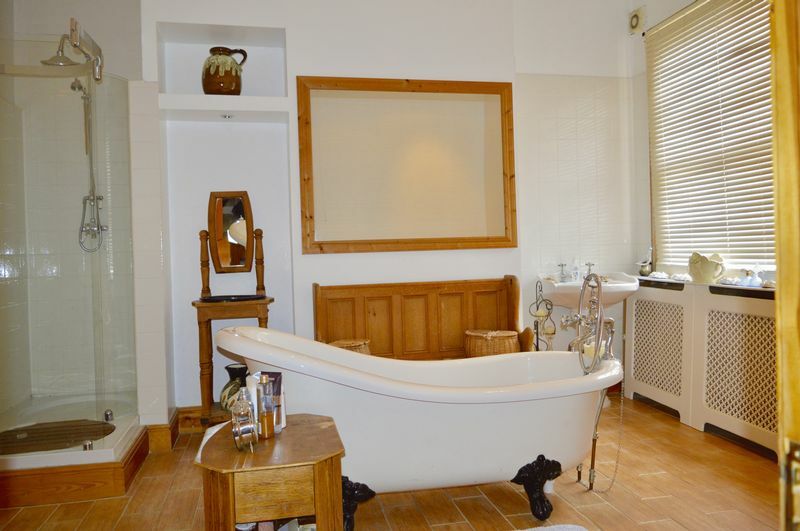 Window (rear aspect), a spacious luxury bathroom with a traditional white suite comprising centrally positioned roll top claw foot bath with a mixer tap, separate double shower, fully tiled with a plumbed-in shower and glazed screen, pedestal wash hand basin, low flush WC, cabinet enclosed radiator, ceiling down lighting, extractor fan, recess with down lighting, timber effect tiled flooring. 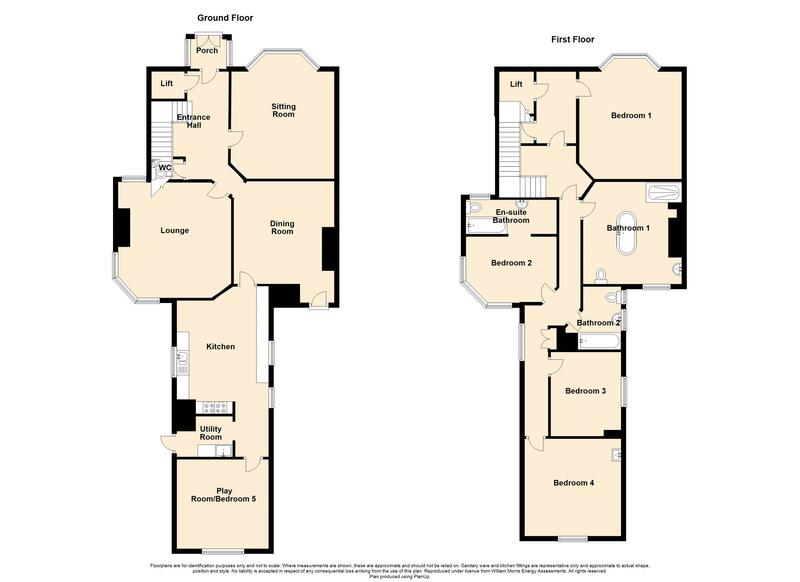 Two frosted glass windows (side aspect), white suite comprising tile panelled bath with an over bath plumbed-in shower, shower screen, low flush WC, pedestal wash hand basin, radiator, tiled walls and flooring. 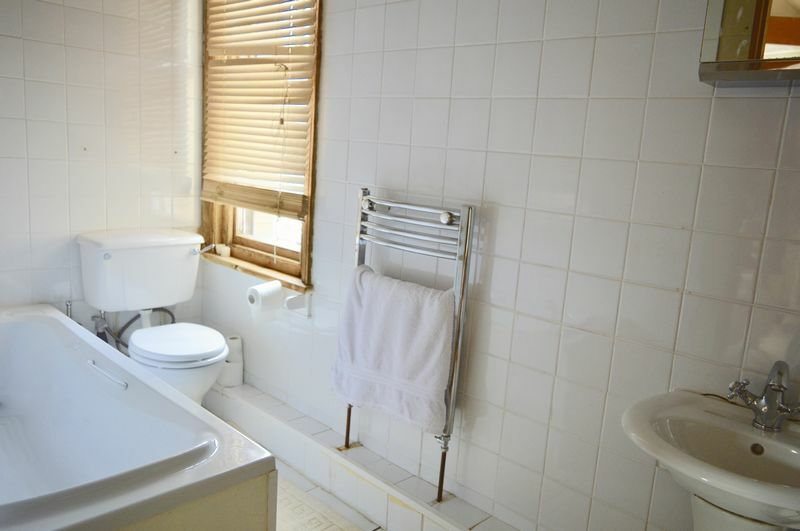 Window (front aspect), white suite comprising panelled bath, shower point over, low flush WC, pedestal wash hand basin, tiled walls and flooring, stainless steel towel rail/radiator. Window (side aspect), radiator point. Sash window (rear aspect), pedestal wash hand basin with a mixer tap and tiled splash back, access hatch to the loft, radiator point. Garden triangular in shape measuring approximately 13 metres wide narrowing (far end) to approximately 4 metres. Mainly laid to lawn. Aviary shed, chicken coop and further traditional timber garden shed. Decked patio (Ideal for that Al-Fresco dining on those warm and balmy summer days/evenings). Further brick paved patio area. Water tap, flower border, weeping willow tree, timber fence and stone wall boundary. Space off the road to the front of the property for 5 to 6 vehicles, mainly laid to tarmacadam. 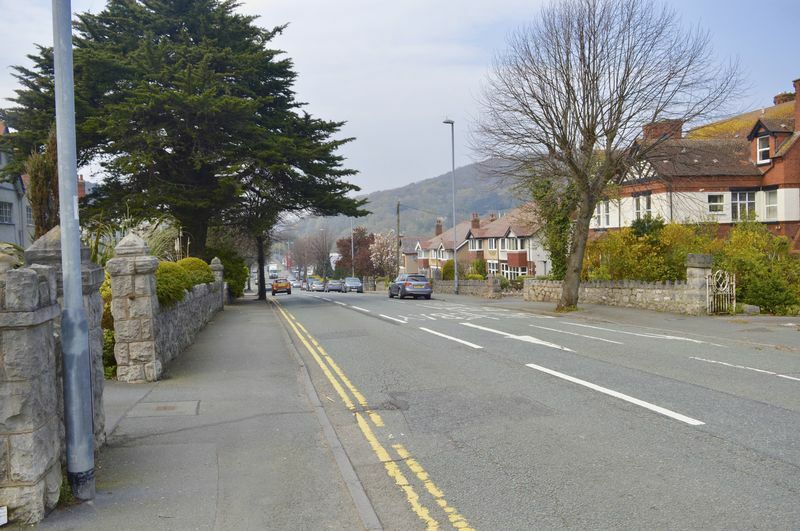 Colwyn Bay is a town, community and seaside resort on the North Wales coast overlooking the Irish sea. The town is known for its beautiful beaches and has expanded in recent times, now the 2nd largest community and business centre in North Wales. 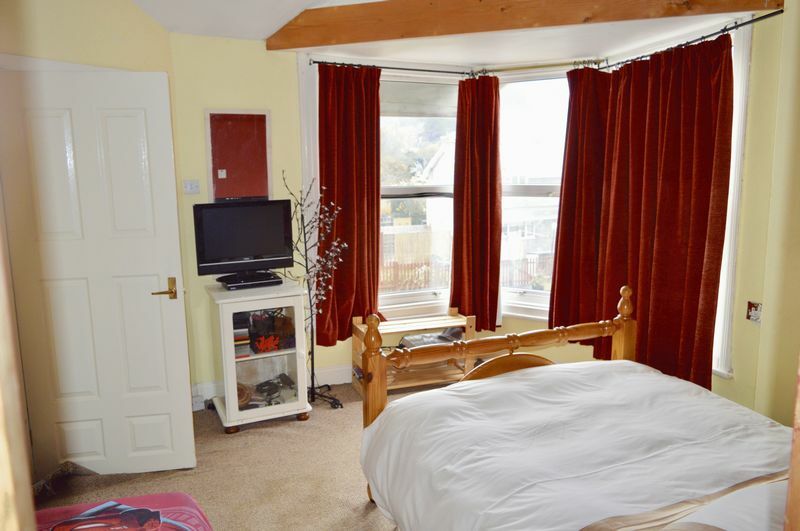 The social/shopping amenities are plentiful, there is a delightful park (Eirias Park), a Welsh Mountain Zoo and a renowned water sports centre (Porth Eirias). 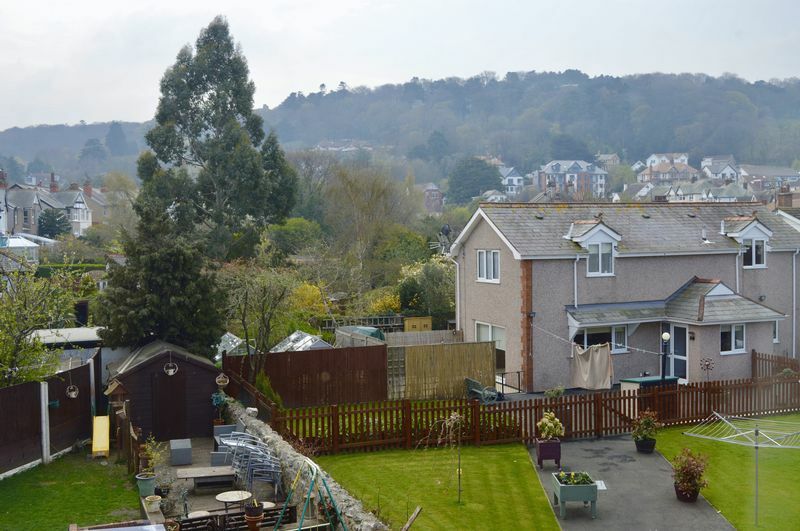 For the sports enthusiast, the town boasts a cricket club, rugby club and football club, their is also a golf club a few miles away in Old Colwyn. From an educational stand point, there are 3 secondary schools in the area (two state & 1 private) as well as a choice of 6 primary schools. 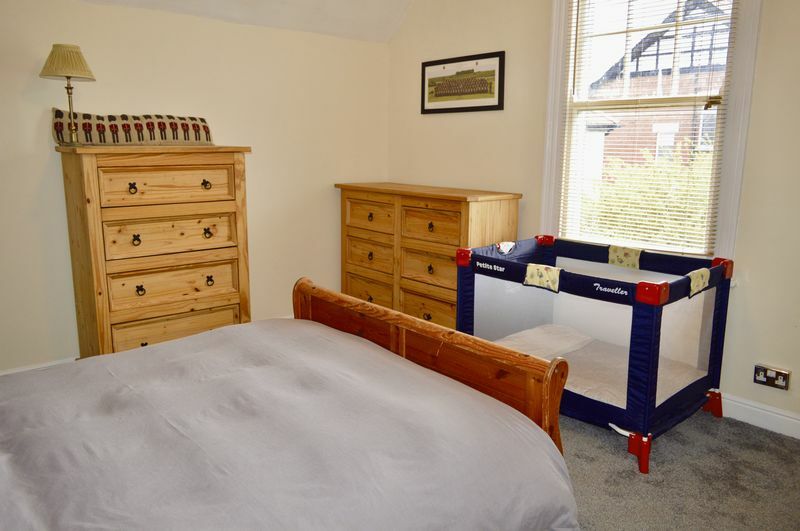 Finally for the commuter, this property is located a couple of minutes from the slip road leading on to the A55 North Wales Expressway which offers a swift link to the North Wales coastal towns and motorway network at Chester. Colwyn Bay also benefits from a railway station with links to London Euston (Approx 3 hours).